The Saviour of Hard Dance is BACK! Give us a txt or call if you you require a street ticket - 07805973787 or visit our bebo for more info. Thanks and see you all on the 4th! 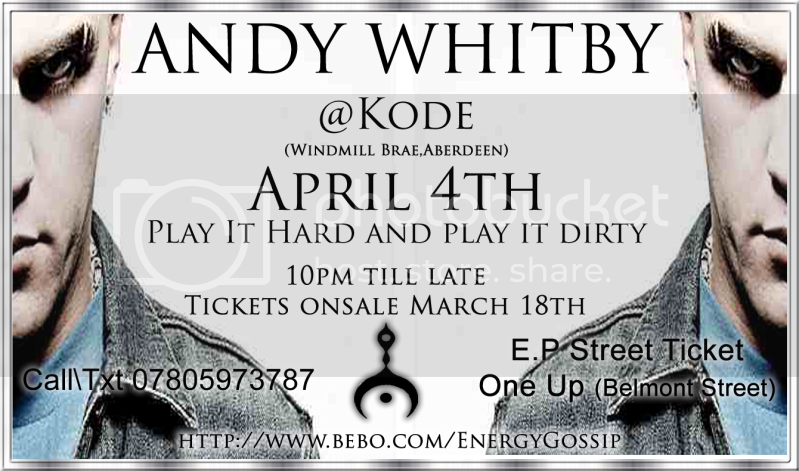 Door admission is available tonight For Andy Whitby - PLEASE arrive early as this event is very popular. One Up have 5 tickets left and E.P has a few txt or call 07805973787 for more info.